I have written several times about Bayes Theorem and its application to social and mobile gaming but the reaction to the Kim Kardashian game from Glu reminded me how often it is neglected. Bayes Theorem calculates the probability of something happening based on conditions related to the event, prior probability. The importance of Bayes Theorem is that it takes into account the underlying probability of an event happening so that you are not weighing too heavily a local data point or discrete test (you can see the actual formula in my original post). To illustrate, assume you are trying to determine the chance of a Libertarian candidate winning the US Presidency. 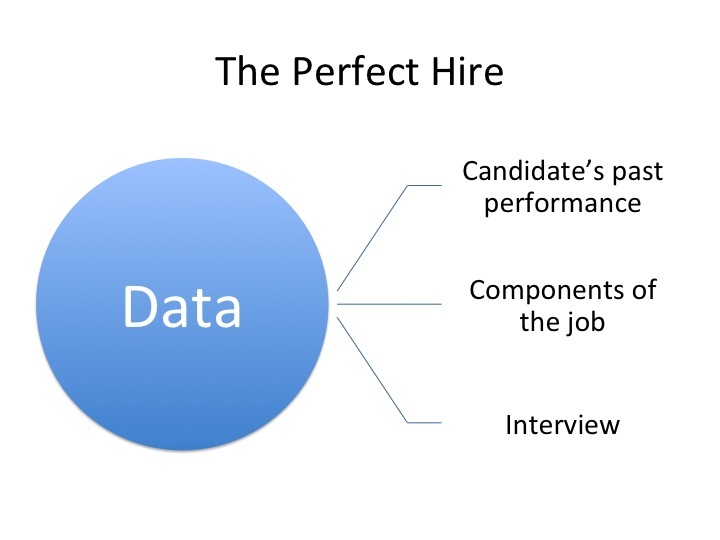 You may look at the candidate and see how he checks all the right boxes and could be appealing to the mass market. Based on this information you may think he has a 20% chance of winning. But then if you look at the data of third party candidates overall in the US winning less than 1 percent of elections, you understand that even the strongest candidate at best would have slightly better than 1 percent chance of winning an election. Bayes Theorem provides a useful point in not only looking at the success of Kim Kardashian: Hollywood but also applying it to your business. For those not aware, Glu Mobile launched a social/mobile game in 2014 centered around Kardashian. The game was a tremendous success for Glu, with over 35 million downloads, and helped them raise over $125 million in capital. What is interesting is that this success has created an entirely new category, with multiple companies trying to replicate it, and this is where Bayes’ Theorem becomes important. Glu has signed other celebrities, including Britney Spears, Katy Perry and Nicki Minaj. Demi Lovato is doing a game with Pocket Gems. Rovio develoed a Shakira game. Moreover, virtually every game company and definitely every talent agent is trying to get into the celebrity mobile game business, driving up the cost of using such talent dramatically. The problem with this approach, however, is that the game companies are neglecting Bayes’ Theorem. Most people inside the game industry agree that 80-90 percent of all games fail (by fail, do not get to ROI positive ad spend and fail to make a profit). This metric is not simply for start-ups but if you look at the major game publishers (Zynga, Kabam, King.com, etc), they deal with the same reality. Just as having a great candidate for the Libertarian Party does not significantly change the odds of winning the election, Bayes Theorem shows that having a celebrity front a game does not significantly improve the odds of the game being successful. Back to the Kardashian case, even with an 80 percent chance of failing, there is a 20 percent chance of success. Just because one product, Kim Kardashian: Hollywood, fell into that 20 percent you should not infer that the probability changed. First and foremost, a celebrity does not guarantee success. Rovio’s Shakira game has already failed. Even the Kardashian game is no longer among the top grossing. Thus, a strategy based on celebrity games that does not rely on all of the games reaching Kardashian levels. Second, everyone knows about the celebrity thing. If it was that easy to make a top-10 game by working with one, the top 10 games would feature celebrities. With so many companies using celebrities, a celebrity will no longer differentiate your product or company. You need to build a product and company strategy that creates a defendable position and compelling value proposition to your player. Third, you need a good game. A celebrity can lower your user acquisition costs and potentially increase the number of organics, but if the game is not compelling all these new players will not monetize and leave. That does not create any value for your company. Most importantly, structure the deal to reflect the reality the game probably has at least a 75 percent chance of failing. I know my licensing friends won’t be happy with me, but you need to limit your risk in the deal. With the success of Kim Kardashian: Hollywood, many stars are expecting seven figure royalty guarantees. While you probably do not mind paying millions if you have a top-10 hit, writing a big check for a game that has failed is very painful (and potentially bankruptcy inducing). Structure deals where you and the celebrity share in the upside but you do not bear all the risk. The good news is that and their agent probably are not familiar with Bayes’ Theorem so only expect a success, so they may be open to a revenue share. Most games fail, so while a celebrity may help it is not a golden ticket to a top-10 game. You still need to deal with the underlying reality that it is a hit-driven business. Thus, it is important to manage your risk if you use a celebrity and build out a robust plan for success. Bayes’ Theorem shows that the underlying probability of an event happening drives the likelihood of the event happening, despite changes in the immediate situation. For gaming, as 80-90 percent of new games fail, basing a game on a celebrity will only marginally improve those odds. Thus a game with a celebrity is probably 75-80 percent likely to fail (not formal numbers, just estimates). Do not build a strategy around the assumption that a celebrity face for a game will make the game a success, you need to still create a product strategy that builds a competitive game. Structure your deals so that the celebrity receives the bulk of their royalties if the game is successful, so you are not forced to pay millions for a failed project. The last couple of weeks, I wrote about how Bayes’ Rule is the strongest tool for making good business decisions. In this post, I will address one of the most important decision and how Bayes’ Rule can help, deciding what games or products to green light. In the game space, the green light decision is when a company decides whether or not to fund fully a project and put it into production. Some companies have a highly defined process, while others rely on intuition. The lessons of Moneyball already say who is going to win between those using a process and analytics and those using intuition, so I am going to focus this post on how to apply Bayes’ Theorem so you apply the right data. Although I am focusing the post on green lighting game projects, it can be applied to any new product. One of the most common green light mistakes I have seen in the game industry is companies deciding on the merits of a game primarily based on how much fun the demo or prototype is. Related to this, they look at how the features of the demo/prototype compare with competitors and if it has enough competitive advantages they move forward. With the latter approach, you may feel you are looking at the opportunity very analytically but you are actually neglecting the most important data points. Last week I started my series of posts about Bayes’ Rule and why it was the foundation of good business decision making . In the next few weeks I will hit on some fun applications but today wanted to build further the foundation for using effectively Bayes’ Rule by discussing continuous parameter values (or multiple existing data points). 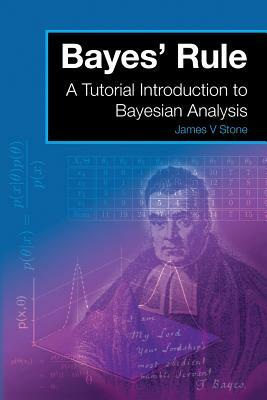 Again, I borrow heavily from easily the best work on Bayes’ Rule, James Stone’s book Bayes Rule: A Tutorial Introduction to Bayesian Analsysis. This application will be particularly relevant when using Bayes’ Theorem to make the best decisions in your green light process, corporate development, investing or anywhere there are multiple historical results to examine. Multiple data points are referred to as “continuous variables.” The values of a continuous variable are like densely packed points on a line, where each point corresponds to the value of a real number. The main advantage of working with continuous values is that we can usually describe a probability distribution with an equation, and because an equation is defined in terms of a few key parameters, it is said to provide a parametric description of a probability distribution.